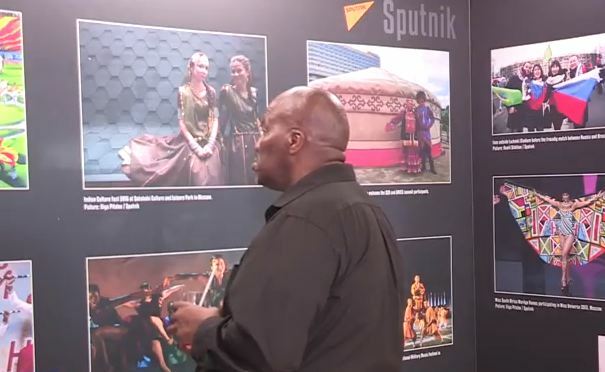 A new photo exhibition has been unveiled at the BRICS Media Forum in South Africa’s Cape Town, an event that attracted key figures from the BRICS business council. The exhibition is intended to resonate with the theme of the upcoming leaders’ meeting and promote a shared global future among BRICS members. With a combined population of over 3 billion people,the media sectors within BRICS member nations have a huge responsibility to the report the news to almost half of the world’s population,it’s an incredible challenge. Delegates attending this year’s 3rd BRICS Media forum have however warned that the BRICS media entities face an uphill task to deliver news and information to that huge population. The Photo exhibition on the sidelines of the media forum has attracted over 180 media professionals and key decision makers, as photographers showcase their works. 98 images were selected for the exhibition including those detailed as digital content, which is yet another key topic at the discussions. And of course, having coincided with the Nelson Mandela centenary celebrations, the exhibition also paid tribute to the centenary of the late freedom struggle icon with a powerful contribution. Previous articleMigrants in Libya facing threat of slavery: U.N.